This evidence from this study is most directly applicable to antibiotics with activity against methicillin-resistant Staphylococcus aureus. 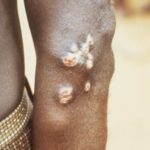 According to a study published in the British Medical Journal, antibiotics used to treat uncomplicated skin abscesses provide modest reductions in risk for treatment failure, recurrence, and additional surgical procedures and hospitalization. However, they also increase the risk for gastrointestinal adverse effects, such as nausea and diarrhea. 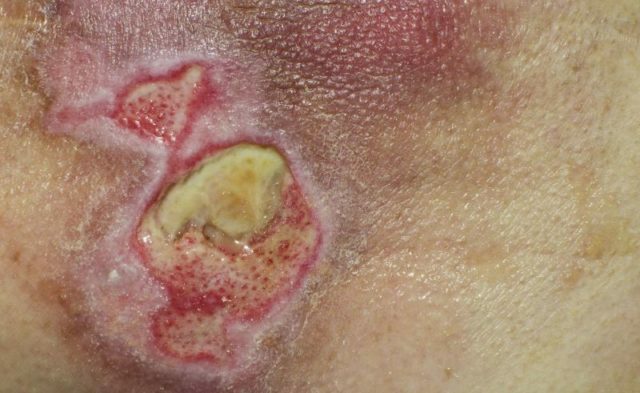 Investigators performed a systematic review of 14 studies using randomized controlled trials to compare antibiotics against no antibiotics or different antibiotics in patients with uncomplicated skin abscesses. 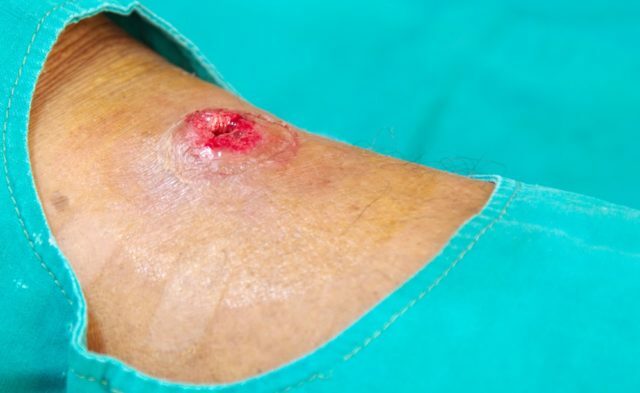 The analysis included 4198 patients and was used to assess the effect of adjunctive antibiotic therapy on uncomplicated skin abscesses. A GRADE approach was further used to rate the quality of evidence of estimates from pairwise and network meta-analysis. 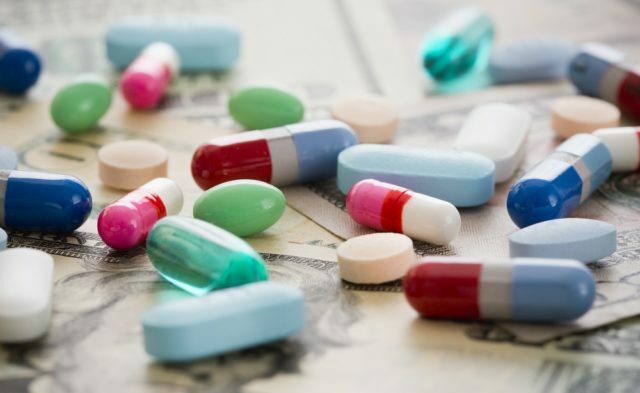 Results revealed that compared with no antibiotics, antibiotics lowered the risk for treatment failure (OR, 0.58; 95% CI, 0.37-0.90; low quality), recurrence within 1 month (OR, 0.48; 95% CI, 0.30-0.77; moderate quality), hospitalization (OR, 0.55; 95% CI, 0.32-0.94; moderate quality), and late recurrence (OR 0.64; 95% CI, 0.48-0.85; moderate quality). Conversely, relative to no use, antibiotics increased the risk for gastrointestinal adverse effects (trimethoprim and sulfamethoxazole: OR, 1.28 [95% CI, 1.04-1.58; moderate quality]; clindamycin: OR, 2.29 [95% CI, 1.35-3.88; high quality]), and diarrhea (clindamycin: OR, 2.71; 95% CI, 1.50-4.89; high quality). Certain data were limited in this study, including data on rare adverse events and data on patients who present in general practice as opposed to emergency departments. Investigators also note that methicillin-resistant Staphylococcus aureus resistance patterns are variable across sites, as are individual patient values and preferences regarding treatment. Therefore, decisions to use antibiotics should take both local methicillin-resistant Staphylococcus aureus resistance patterns and patient preferences into account. Wang W, Chen W, Liu Y, et al. 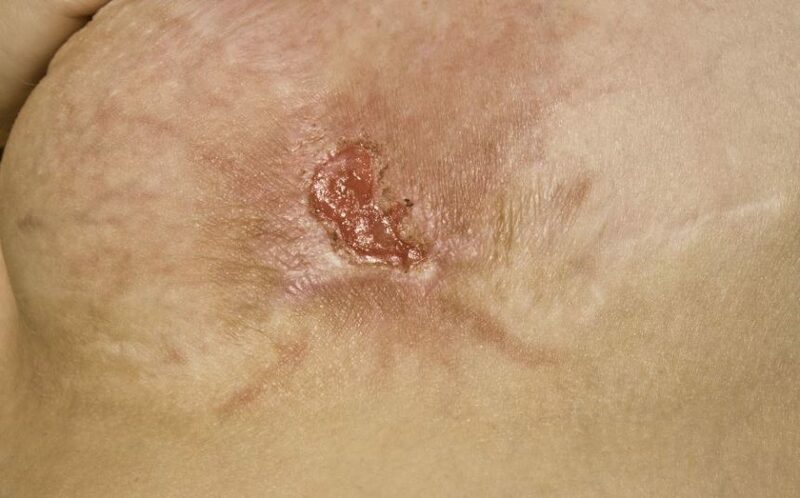 Antibiotics for uncomplicated skin abscesses: systematic review and network meta-analysis. BMJ Open. 2018;8:e020991.